Dr Besigye addresses the media at Katonga Road in Kampala yesterday. Ronald Muhinda. KAMPALA — Four-time presidential candidate Dr Kizza Besigye has lashed out at those calling for a referendum on the lifting of presidential age limit to allow President Museveni run for a sixth term in office saying a referendum can only serve to legitimise a nullity. 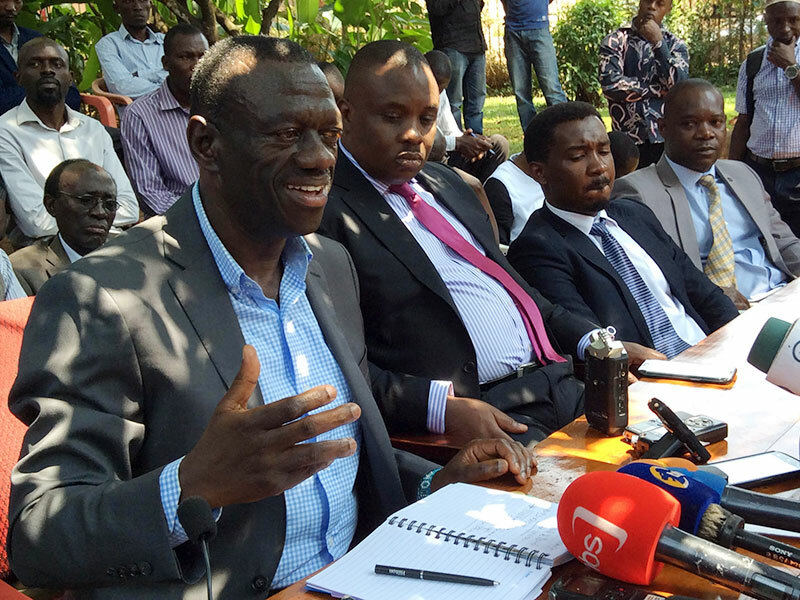 Dr Besigye was addressing journalists at Forum for Democratic Change (FDC) offices on Katonga Road in Kampala on Tuesday. It is the first time Dr Besigye is speaking out on the controversial issue of amending Article 102 of the Constitution that sets the age limit at 75. “There is no doubt government intends to move a raft of amendments to the Constitution. The catchiest is amendment to Article 102 Section B of the Constitution that deals with qualifications for one to be President of Uganda ” Dr Besigye said. He said the public is anxious about the move to amend Article 102 because it deals with leadership and succession in a country that has never witnessed a peaceful transfer of power since independence. “Uganda has never witnessed a peaceful transfer of power and a lot has been lost to changes in leadership. Whoever has assumed power has bombed himself into power and has, in turn, been bombed out of power,” Besigye said. He said the framers of the 1995 Constitution made effort to include articles 102 and 105 that put a limit on who assumes power because they were cognizant of our checkered history. 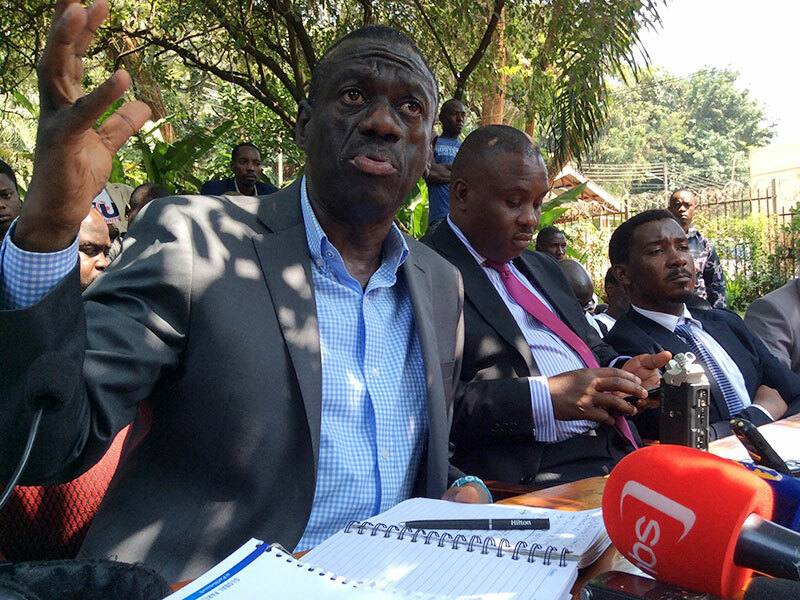 “Already, other checks have been removed, for instance, the one that barred a president ruling beyond two terms, and now the only remaining check is on the verge of being tampered with,” Dr Besigye said. Besigye said Museveni has already tampered with Constitution before and should not be allowed another chance. Ronald Muhinda. Uganda amended clauses of Article 102 of the Constitution in July 2005, opening way for Museveni to run for re-election in what was then popularly referred to as ‘Kisanja’ (third term). At the time, President Museveni had convinced Ugandans, including the NRA historical leaders, that he was only seeking his last term in office to professionalise the army and consolidate the gains his leadership had made. However, with the term limit put aside, Museveni again stood for re-electon, winning a contested vote in 2011 against Besigye, before orchestrating what the opposition continue to call a “coup” in February 2016 for his fifth elective term in office. But Besigye has now called upon all Ugandans, whether as individuals or in groups, to muzzle efforts and oppose any move aimed at legitimising the violation of the Constitution. “President Museveni will amend the Constitution because institutions like Parliament serve his personal interests. It is the reason we have been telling people to restore their power. Once you have no power, you cannot have a Constitution,” Dr Besigye said. The opposition figurehead said the struggle by Ugandans to regain power has registered significant milestones as evidenced from the 2016 elections when the ordinary folk donated money and other items to support his presidential bid. “We won the last election and we have evidence of that but our victory was stolen by those people who had the guns,” he said. 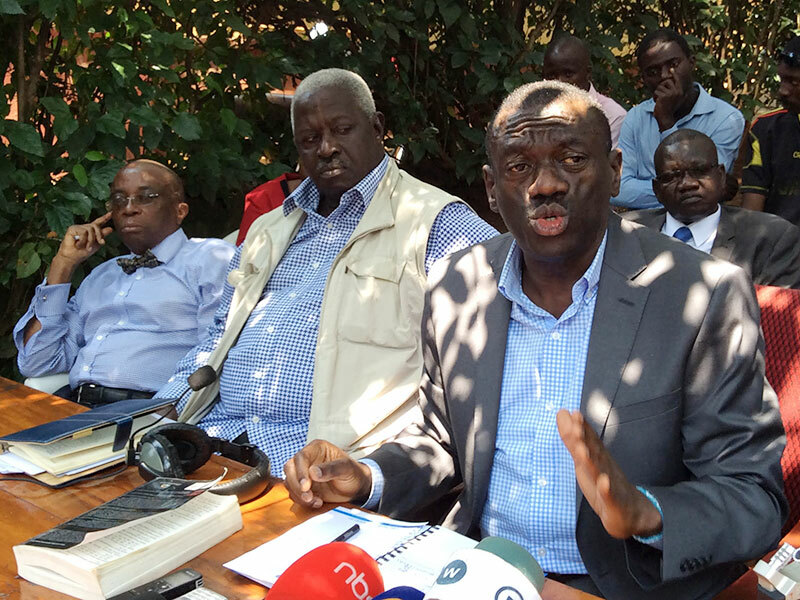 Besigye called on Ugandans to reject referendum. Ronald Muhinda. Dr Besigye said the a viable constitution for the country can only be made by a transitional body and said the task ahead is to work for a transition through which a new constitutional order can be undertaken. He said achieving a transition involves awakening those who are not aware that Uganda is a captive state and working through organisational networks. “We must take actions that disempower the regime either as individuals or as groups. Civil servants, people in the armed forces and all activists should come together and harmonise the broader actions that we intend to take,” Dr Besigye said. He said the transition should among other things negotiate a new consensus for the people of Uganda to have a new constitution, re-build state institutions and place them under the control of the ordinary people, undertake national reconciliation and then organise free, fair and credible elections. He urged all leaders, including religious leaders, to work towards achieving this transition, adding that Ugandans now want to cling to people to represent their interests. “Ugandans now want people who will continue with the struggle. My young brother Robert Kyagulanyi [Bobi Wine] is going to be sworn in. He was voted by people of all parties, people are no longer interested in Besigye or Kyagulanyi, they want to regain their power and if they rally behind you and realise you are not focused, they abandon you,” Dr Besigye said. Dr Kizza Besigye first stood up to oppose Museveni and the Movement system of government in 1999 when his missive to the Movement hierarchy leaked to the media. He subsequently decided to challenge Museveni’s stronghold on power, arguing that Museveni, who will have ruled for 35 years when the next presidential election is organised in 2021, could not be trusted to relinquish power. Dr Besigye has in the last two elections refused to contest the results, saying the court of law could not be trusted and that going to court would also only serve to legitimise Museveni’s “rigging.” After the February 2016 polls, it was Amama Mbabazi, who had come a distant third, who went to court to challenge Museveni’s victory. But court unanimously upheld the result. In attendance were former leader of opposition Wafula Oguttu, Lord Mayor Erias Lukwago, MPs Allan Ssewanyana (Makindye East) and Lubaga North MP Moses Kasibante, among others.